After a gap of over a week of subdued weather, rainfall activity is set to pick up across the state of Tamil Nadu. North interior and coastal Tamil Nadu in particular will see intense thunderstorms with one or two locations likely to record heavy rainfall of 64.5 mm or higher. The ghat areas of Coimbatore (Valparai) and Nilgirs will continue to record rainfall. 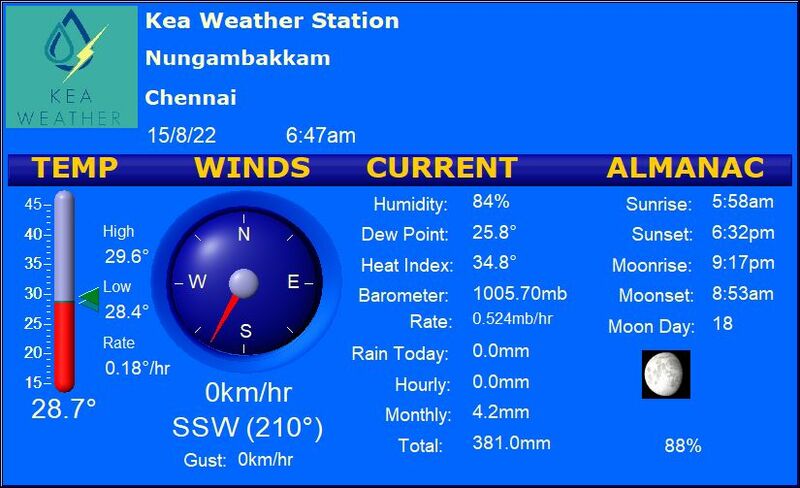 Coimbatore – Pleasant and cloudy day with rains at times and a high of 31 C.
Madurai – Cloudy skies and chance of rains at evening / night. The day will be warm at 35-36 C.
Tiruchi – Chance of late evening thundershowers and the maximum will be 36 C.
Vellore – Heavy Thunderstorms are likely at evening/night with day remaining warm at around 36 C.
Valparai PTO in Coimbatore dt records 26 mm rainfall.